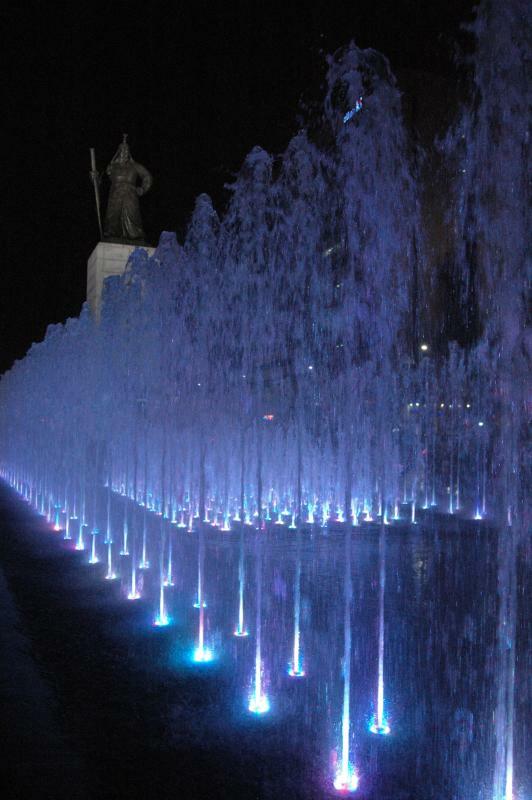 Admiral Yi Sun-Shin overlooking Gwanghwamun Plaza and an impressive light / water show. Not to be confused with the King Sejong Memorial Hall, the Sejong Center for the Performing Arts, Sejong's statue in Yeouido Park, or anything else featuring Korea's most famous king, the Story of Sejong recently opened underneath the new statue of King Sejong. Today's travel destination is sponsored by...several dead people. That's right, it's time to see some tombs given to people somehow related to the royalty of the time. Three tombs and a memorial hall are within a kilometer of each other in Seoul's northeast corner of Cheongnyangni. Above we have the entrance to Uireung - a tomb holding the king-and-queen pair of King Gyeongjong (reigned 1720-1724) and his second Queen, Seonui. 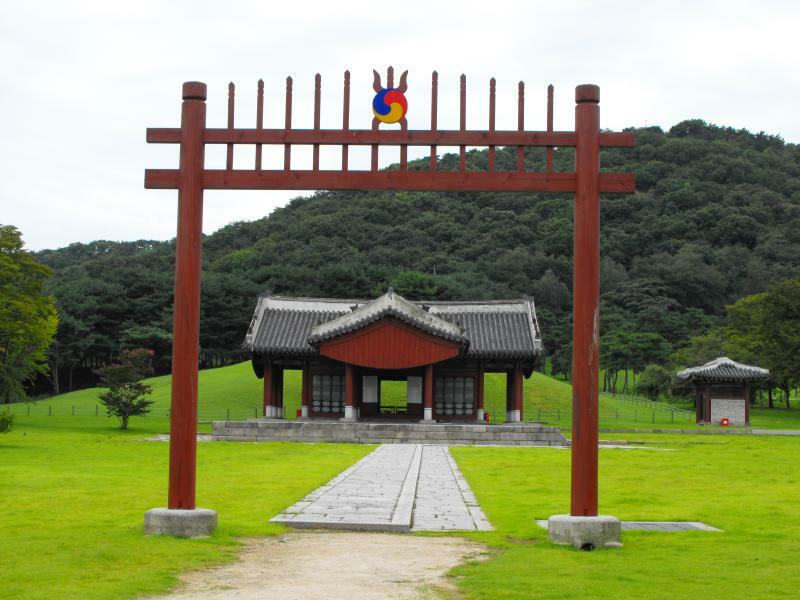 The red gate with two wooden pillars is called a 홍살문 (hong-sal-mun), and begins the sacred area of the tomb.